Those were the very words of the man who is fondly called ‘Debola Lagos’ in an interview with Vanguard Newspapers. When Rick Warren made this statement: “Without a purpose, life is motion without meaning,activity without direction and events without a reason”, Adebola Williams must have listened in as he is simply purpose with legs and Italian shoes to match! Where many people loathe challenges and use them as reasons to sink further into indifference, ‘Debola like other highly successful individuals is compelled and invigorated by challenges. A man of many parts, ‘Debola is an actor, a TV producer, a journalist and the co-founder of Red Media Africa. Red Media is a leading media company with a major focus on youth centered themes. Founded in 2005, Red Media spans content, communication and development with an independent management team. He is the loquacious brain of the twosome behind the Future Awards: a platform created to celebrate uncommon talent, young entrepreneurs, and innovative skills. ‘Debola was active behind the scenes in the emergence of President Muhammadu Buhari as Nigeria’s Head of State. He successfully managed the now President’s media campaign with his co-founder friend of 12 years, Chude Jideonwo. His advisory role on how best to win the youth and reshaping the President’s then dictatorial image online and offline proved to be a game changer. ‘Debola the actor has performed in plays like ‘Wedlock of the gods ‘, ‘The gods are not to be blame’, and Oke Langbodo’. These were key in earning him a Lagos State Government award at the Nigerian National Theatre, Top 100 UK selected Williams in 2007 and 2008 as one of the Top 100 of his generation. He was also endorsed as Global Change Maker by the British Council in 2009 whilst attending the World Economic Forum in Cape Town and the Change Maker’s Conference. In 2010, United Nation’s Population Fund (UNFPA) invited him to work on the African Youth Charter as a youth expert in Zimbabwe. He is presently a producer in the Amstel Malta Office reality TV show. Adebola Williams was born into wealth but lost everything before he was nine. All his life, he had always wanted to become an actor. He was featured in two soaps that never saw the light of the day. He was paid a paltry N100, thus he decided to quit. 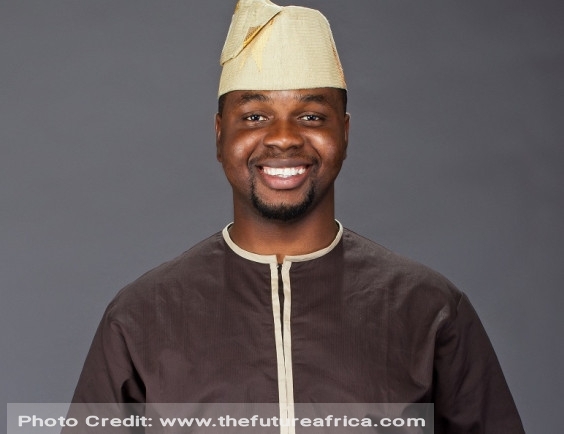 Later, he started working as an assistant with a counselor and a psychologist as a freelancer without any relevant qualification by which time he had chalked up 3 years worthy experience with the Nigerian Television Authority. As ‘Debola started gaining experience as a volunteer , jobs trickled in. He got a job as a producer with Economic Watch reporting business shows and earned far beyond what his peers could muster. Looking at ‘Debola, not everyone would believe he has had his fair share of rough times, challenges and suffering as he is any paparazzi’s delight. It is no surprise today that Adebola Williams has many top brands and government parastatals at his beck and call. Earlier this year, the 10 year old pan-african media brand ‘Debola co-heads added Facebook to its clientele. They are currently at the heart of the Facebook sponsored Internet.org project as media partners of the FreeBasics initiative. ‘Debola gave expression to this lesson by the model life he’s lived so far. Dear Youth, as much as its emotionally gratifying to blame others for your lack of opportunities, you can’t put it on anyone else except yourself. It’s high time you quit dabbling with excuses and use your circumstances as building blocks of greatness as ‘Debola has typified. Taking charge and changing your present situation isn’t negotiable. Building your life on eternal principles puts you in a good stead. ‘Debola’s doggedness and dedication to being true to his person are exemplary traits every youth ought to imbibe. Know that the purpose for your life predates your conception, hence the need to live a life that has meaning. Okorowu Kizito is an entrepreneurship/start up enthusiast with a deep seated passion for small businesses and an ardent crusader for their rise to large corporation status. Currently, He volunteer with Pro-Youth NGOs and faith based organizations.